The age of the robots is already here. Robots already perform financial transactions, medical diagnoses, and drive cars. When robots have taken all the jobs, what will be left for humans to do? What will humans BE? 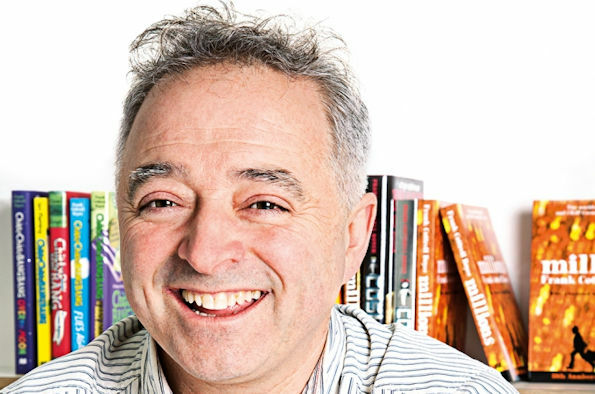 Frank Cottrell Boyce wrote the Doctor Who episode ‘Smile’ about a utopian city built by robots. He is a children’s writer who won the Carnegie Medal for his debut, Millions, and the Guardian Children’s Fiction Prize for The Unforgotten Coat. His latest book Sputnik’s Guide to Life is being made into an animated movie by Dreamworks. He has also written many screenplays and was one of the small creative team who helped Danny Boyle stage the 2012 Olympic Opening Ceremony. He totally smashed it on University Challenge.